Enjoy working on any of your projects using our machines. Meet other sewers, try new features and share ideas! Bring a friend! 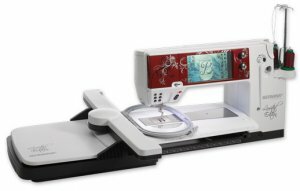 This class is only for customers who have purchased their ScanNCut from Discover Sewing. Please call the store at 770 497-2973 to sign up. Every month you will make a project using your Scan N Cut, learning new techniques along the way. Fee includes designs used in class, supply kits may be available for an additional fee. Come make an elegant infinity scarf and a cute reading pillow in this one day event! Machines will be provided! Bernina is an independent family business. Bernina develops, produces and sells high quality products and services. household sewing and embroidery systems as well as sewing related products.